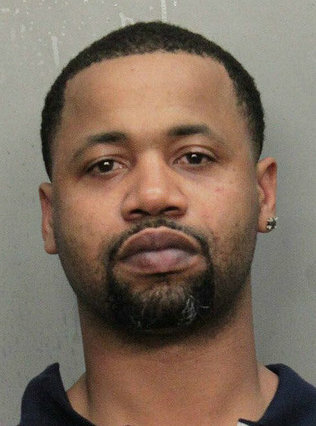 Rapper Juvenile was arrested for disorderly conduct at a Miami hotel last night after allegedly participating in a crazy brawl. Juvenile — real name Terius Gray — had just reunited with Lil Wayne on stage at LIV nightclub earlier in the evening … when something went wrong. Juve and Wayne — who were in the Hot Boys together back in the late ’90s — had a long-running beef when the group broke up … and last night was the first time they have been on stage together since the feud. But around 7AM, cops say Juvenile — who’s listed at 5’11, 150 lbs — was involved in a fight that began inside the nightclub and spilled outside to the front of the hotel. Miami Beach PD responded to the scene and arrested Juve — he was hauled to a nearby station where he was booked. He is still in custody. Update: Juvenile has been released from custody. He also told TMZ the fight was NOT with Lil’ Wayne. We wonder if Weezy helped bail him out! Juve can’t afford to be getting locked up like that, he doesn’t have Cash Money paper anymore. This entry was posted in Entertainment News and tagged Juvenile, Lil' Wayne. Bookmark the permalink.